The perfect carving day with the brand new FAMOUS 4. 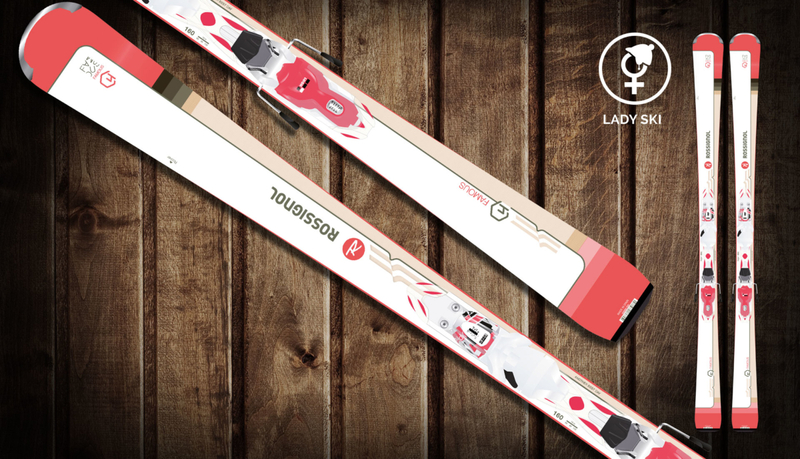 This new ladies’ on-trail ski for ambitious skiers provides optimal hard snow performance for advanced and good skiers. Rossignol’s Prop Tip technology provides for an ultra-light and rapid turn initiation. The refined Power Turn rocker provides a playful and effortless carving experience. So the Famous 4 offers a fatigue-free descent with plenty of fun. The optimal ski for another ultimate carving day!